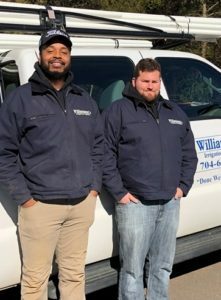 Williamsons Irrigation and Lighting was established in 2006. We are a N.C. Licensed Irrigation Contractor, corporation # C-155. We emphasize the old-fashioned principles of keeping appointments and returning phone calls. Respecting our clients valuable time and money. We do things correct the first time. We specialize on installing and modifying / repairing high-end irrigation and landscape lighting systems. Using the newest up-to-date technology to save our clients valuable resources. With an emphasis on use of water smart products and LED lighting. We offer a combined 50+ years of expertise in the irrigation field. Our hands on ownership and experience set us apart from the competition. We look forward to working with you and building a lifetime relationship. To learn more about how we can help you reduce your water footprint and your utility bills-contact us today! 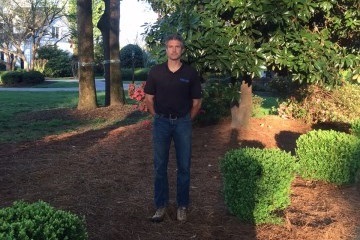 Jason has over 20 years of experience in landscaping, irrigation and landscape lighting. 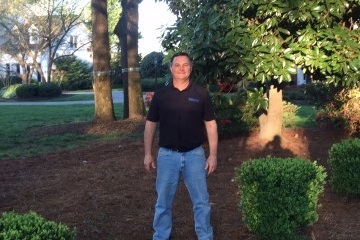 Having obtained his North Carolina Irrigation contractors license in 2013 NCICLB#1201. 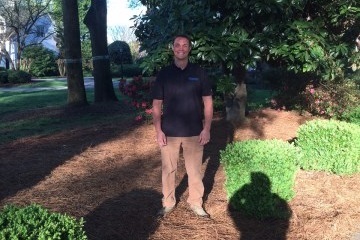 Jason regularly directs irrigation installations and maintenance. He is known for an excellent eye for detail, and a thorough understanding of even the most complex commercial and residential systems. Jason's number one priority is client satisfaction and optimal system performance. Mario and Justin have the ability and experience to carry out any task! They treat you and your property with respect. They always leave the job site in the best possible condition, after the job is done. We are hiring installers and helpers. Are you a top producer who is looking to show your ability and skills to us and be fairly rewarded? Are you able to manage jobsites and complete tasks? If you are interested, please contact us via our Contact Page.